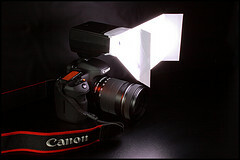 Lumiquest has a pretty nice solution for diffusing on (or off) camera strobes by dressing them with a small and light weight softbox. 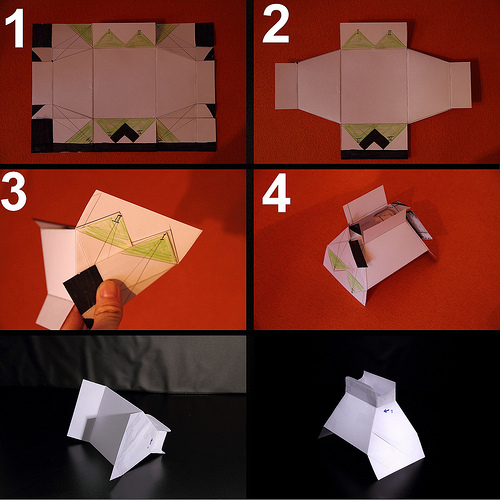 Reader Julian Schüngel came up with a similar device that can be constructed from one A4 sheet of paper (and kicks the crap out of my similar design that needs 6 sheets). Oh yea, it has build in barn doors too. Now, while the side panels still emit light this can be easily corrected by turning them black, which Jullian indeed added for version #2. The second version tut is in the following picture. 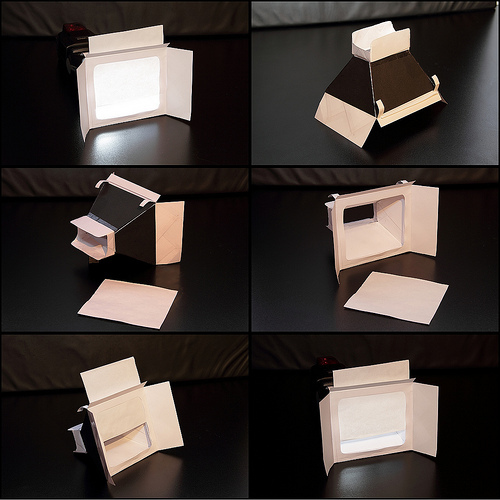 It uses some extra paper and one more square cut of the front, but it eliminates the light spill. would i still use this if i can point my flash up? Yes. It will just put out a little less light than just shooting without out.